Shop Ajax Fabuloso Lime Fresh Multi Purpose Cleaner 2L, Stationery, Printer at atoz2u. Leading supplier of office products in Malaysia. 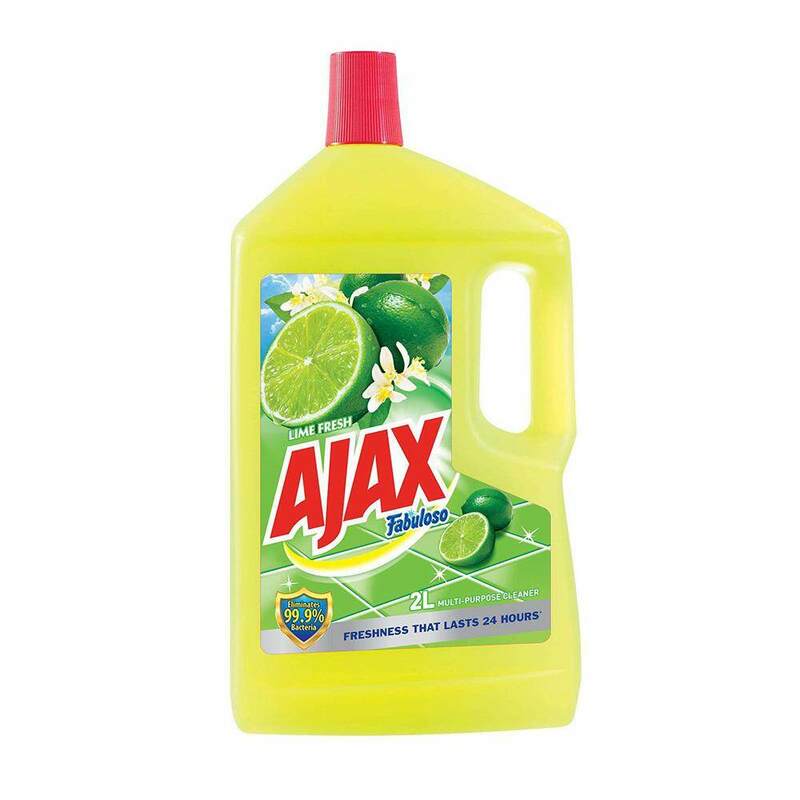 Ajax Fabuloso Fresh Lime Multi-Purpose Cleaner help you to efficiently remove stubborn stains and grease. It is also helps to kill 99.9% unseen bacteria from your household surfaces leaving your floors and household surfaces clean and shiny, with 24 hours long lasting fragrance. Suitable to be used on marble, tiles parquet, terrazzo, cement as well as countertops, cupboard interior, table tops, toilet bowls and linoleum.